Linda Benton McCloskey and Christine Goldbeck are among the 15 Daily Painters of Pennsylvania (DPP) whose work will show at Brooklyn Waterfront Artists Coaltion (BWAC) in Brooklyn from Sept. 22 through Oct. 21. The show is open to the public weekends from 1 to 6 p.m. An opening reception is scheduled for Sept. 22 from 1 to 6 p.m.
Goldbeck, who owns Arts on Union, an arts gallery and studio in Middletown, PA, is painting a summer water series in acrylics for the exhibition. Two of the paintings are representational landscapes while the others are abstractions of the colors and textures of water in the summer, at different times of day. An avid walker and biker, Goldbeck is influenced by nature and likes to work with the colors and textures she sees while on her journeys. What usually begin as a representational landscape often ends up as an imaginative abstract that has elements of Impressionism and Abstract Expressionism. Trees, water and flowers are subjects for her paintings. Benton McCloskey begins a new work without a preconceived outcome in mind. She simply begins painting and then intuition, love, desire, and experience take over. When she is in this dream-like state, she gives way to the process and eventually begins to see and respond to shapes, forms, and movements. Benton McCloskey then develops them further…regardless of the result, the painting takes her to a new and unexpected destination. After changing careers and researching her family’s history, Benton McCloskey discovered that the American Regionalist Painter Thomas Hart Benton was her great-uncle. 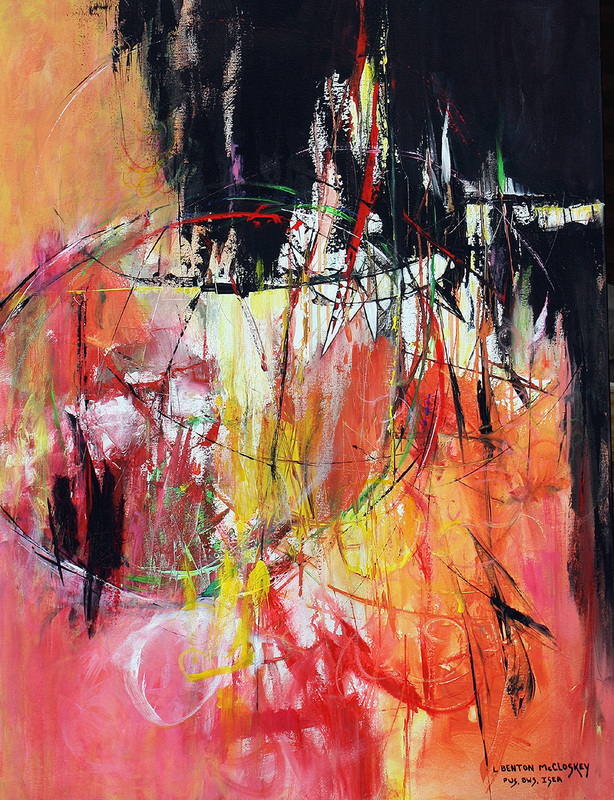 Benton McCloskey’s art is influenced by the impulsive approach of the abstract expressionists de Kooning, Motherwell, Kline, Mitchell and Hofmann. Discovering creative ways of expression and keeping traditional rules of painting out of the picture are priorities. Since she enjoys varying her palette of colors and approaches, her recent non-objective works are mostly watermedia, encaustic and cold wax with texture and color. Diversity and choice intrigues her and is evident in her work. 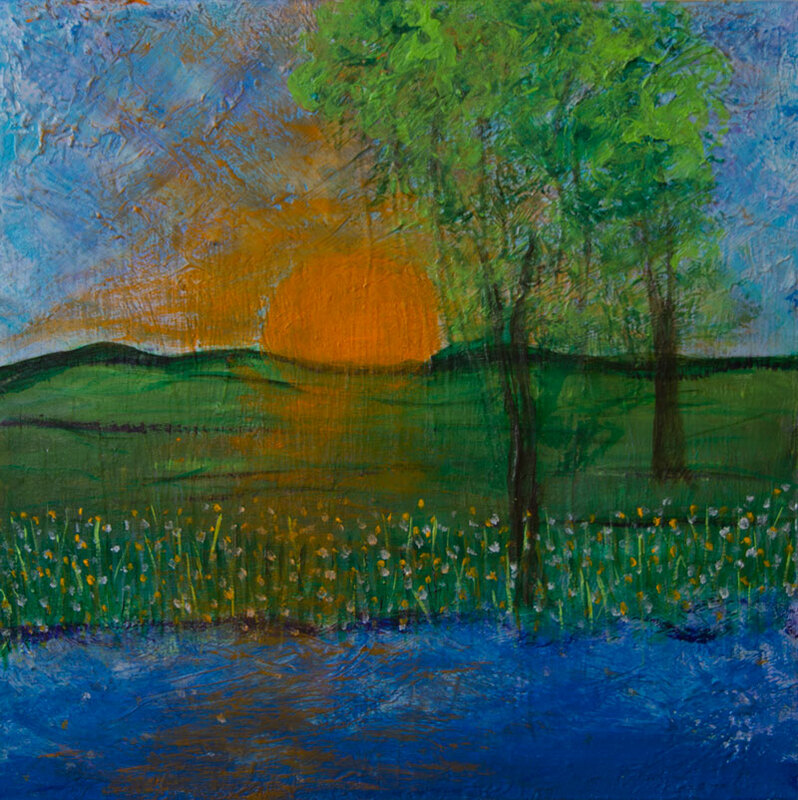 Mechanicsburg artist Mary Beth Brath founded DPP in the fall of 2009. The DPP is an online blog group of professional visual artists that paint on a daily basis and reside in Pennsylvania. Members must be juried into the group and there is a monthly fee. Members are all gallery represented. Most have been published and have won awards for their work. Many have attained Signature Memberships in National and International Organizations. The group has 48 members. The website brings the human element to viewing original art online. Artists discuss techniques, materials, announce awards, exhibits and share the stories behind the paintings. A personal blog page can be difficult to maintain since first priority is “in the studio.” In a group blog, everyone works together to keep the site fresh and exciting for viewers and followers. Since the site is so active, it remains high on the search engine and gives the artists a strong online presence. Curators, gallerists and collectors have a location to view the work and read about the accomplishments of the group. Each June, the group exhibits in the Pennsylvania State Capitol Building East Wing Rotunda. Visitors traveling from around the world stop to take pictures with the artwork. The show is anticipated by the legislators, Capitol employees and the public. Goldbeck’s paintings and photographs are in state, national and international corporate and private collections. She holds a Master of Fine Arts-Interdisciplinary Arts (MFA-IA) degree from Goddard College. In addition to classes and workshops at Arts on Union, she also teaches digital photography at the Art Association of Harrisburg, and photography and experimental mixed media painting at the Pennsylvania Guild of Craftsmen in Lancaster, PA. Goldbeck is a juried member of the Guild. Benton McCloskey has studied under international artists such as Gerald Brommer, Mary Todd Beam, Steven Aimone, and Katherine Chang Liu. She is a member of local art groups and a teacher of experimental water media, collage, abstract design, cold wax & oil, and encaustic. She is also a Signature Member of the Pennsylvania Watercolor Society, and Baltimore Watercolor Society, plus has earned her Nautilus Membership in the International Society of Experimental Artists. This entry was posted in Christine Goldbeck, Exhibits, Linda Benton McCloskey and tagged abstract, abstract art, acrylic, art, Art Association of Harrisburg, art classes, art exhibits, Christine Gold beck, cold wax, encaustic, Harrisburg PA, Linda Benton McCloskey, Mary Beth Brath, mixed media, oil, Our, Our Daily Painters, painting, Pennsylvania, Pennsylvania artists, workshops on September 13, 2012 by mixedmediaartgroup.